Do you agree or disapprove of the way Donald Trump handles the presidency? Like most surveys that predict public opinion, the support rate is subjective. Many unscientific support rating systems have prejudiced popular views. However, the support rate is generally considered to be a statistically valid indicator, indicating a comparative change in the mood of the US public. 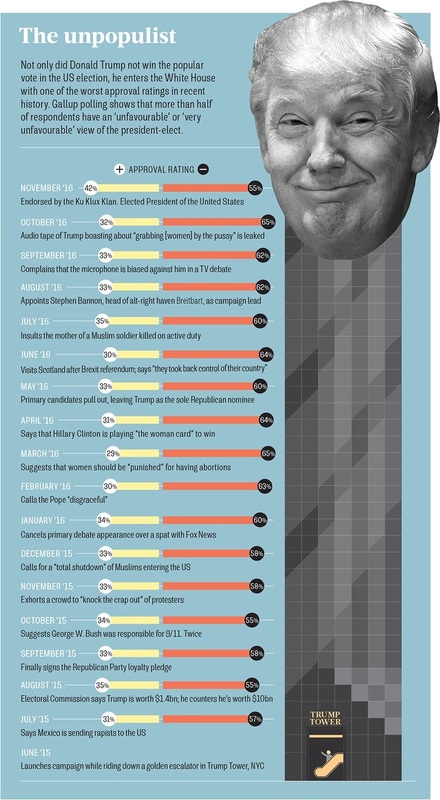 The chart tracks the popularity of Donald Trump in the presidential campaign.